This Section provides information on applying for a visitor’s visa to visit Fiji. Many countries are exempted from acquiring a visa to visit Fiji. Countries that are not exempted need to apply for an entry Visa for Fiji. Click here for Visa Application form in pdf format. Click here for Police Clearance form in pdf format. Completed visa application form. Incomplete forms may cause delays in processing of visa application. 6. Proof of approved visa and onward ticket if applicant is travelling to another country needing visa. 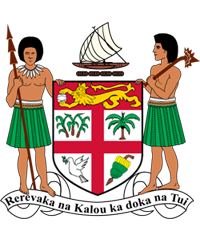 Allow one month for processing and approval by Immigration in Fiji. What countries are exempt from acquiring visas for entry into Fiji? A National or citizen of a country not listed above who holds an outward ticket for travel from the Fiji Islands to a destination in another country for which he or she holds a visa and will continue his or her journey form a port or an airport of disembarkation in the Fiji Islands to such destination on a ship or an aircraft that is scheduled to depart the Fiji Islands within 3 hours after the time of disembarkation. Nationals of other countries not included in the list of exempted countries require prearranged visas, which can be applied for at the nearest Fiji Embassy or High Commission closer to their country of residence. Visas may be extended on application to the Department of Immigration in Suva, Lautoka or Nadi. Visitors who do not adhere to the above will be refused entry into Fiji. Antigua & Barbuda, Argentina, Australia, Austria, The Bahamas, Bangladesh, Barbados, Belgium, Belize, Botswana, Brazil, Brunei Darussalam, Bulgaria, Canada, Chile, China, Columbia, Cyprus, Czech Republic, Denmark, Dominica, Estonia, The Federal Republic of Germany, The Federated States of Micronesia, Finland, France, Gambia, Ghana, Greece, Grenada, Guyana, The Holy See (Vatican), Hungary, Iceland, India, Indonesia, Israel, Italy, Jamaica, Japan, Kenya, Kiribati, Latvia, Liechtenstein, Lesotho, Luxembourg, Malawi, Malaysia, Maldives, Malta, Mauritius, Mexico, Moldova, Monaco, Nauru, The Netherlands, New Zealand, Nigeria, Norway, Papua New Guinea, Paraguay, Peru, The Philippines, Poland, Portugal, Republic of Ireland, Republic of the Marshall Islands, The Republic of Palau, Romania, Russia, Samoa, Slovak Republic, St Kitts & Nevis, St. Lucia, St Vincent & The Grenadines, Seychelles, Sierra Leone, Singapore, Slovenia, Solomon Islands, South Africa, South Korea, Spain, Swaziland, Sweden, Switzerland, Taiwan, Tanzania, Thailand, Tonga, Trinidad and Tobago, Tunisia, Turkey, Tuvalu, Uganda, Ukraine, United Kingdom of Great Britain and Northern Ireland, United States of America, Uruguay, Vanuatu, Venezuela, The Federal Republic of Yugoslavia, Zambia, Zimbabwe.